The changes from the [recently released][ljndpi0.3.3] ljndpi v0.3.3 have been merged into the SnabbWall repository, which means that now it also supports using version 1.8 of the nDPI library. The branch containing the most up-to-date development code is always in the snabbwall branch. Whenever a new Snabb version is released, changes are merged from the upstream repository using its corresponding release tag. When a SnabbWall release is done, it tagged from current contents of the snabbwall branch, which means it is automatically based on the latest Snabb release. If a released version needs fixing, a maintenance branch snabbwall-vX.Y for it is created from the release tag. Patches have to be backported or purposedfully made for that this new branch. This approach reduces the burden of keeping up with changes in Snabb, while still allowing to make bugfix releases of any SnabbWall version when needed. Packets entering one of the ends are forwarded unmodified to the other end, in both directions, and they are scanned as they pass through the application. If you swap the RawSocket application with the one driving Intel NICs, and divert a copy of packets passing through your firewall towards the NIC, you would be doing essentially the same but at lightning speed and moving the load of packet analysis to a separate machine. Add a bit more of smarts on top, and this kind of setup would already look like a standalone Intrusion Detection System! Two flows are identified, which correspond to two different connections between the client with IPv4 address 134.68.220.74 (from two different ports) to the server with address 192.168.1.2. Both flows are correctly identified as belonging to the rsync application. Notice how the application is properly detected even though the rsync daemon is running in port 26883 which is a non-standard one for this kind of service. Note how even the connection is encrypted, our nDPI-based analyzer has been able to correlate a DNS query immediately followed by a connection to the address from the DNS response at port 443 as a typical pattern used to browse web pages, and it has gone the extra mile to tell us that it belongs to a Google-operated service. 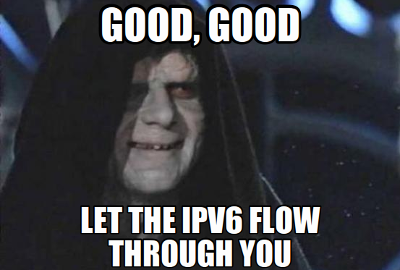 One last note: even though it is not shown in the examples, scanning and identifying IPv6 traffic is already supported. Now that traffic analysis and flow identification is working nicely, it has to be used for actual filtering. I am now in the process of implementing the firewall component of SnabbWall (L7fw) as a Snabb application. Also, there will be a snabb wall filter subcommand, providing an off-the-shelf L7 filtering solution. Expect a couple more of blog posts about them. In the meanwhile, if you want to play with L7Spy, I will be updating its WIP documentation in the following days. Happy hacking!